Since a child Sir Roddy Llewellyn has been fascinated by plants and gardening. It all started when he was given a packet of seeds and a tulip bulb aged three. In 1976/77 he gained the National Certificate of Horticulture and the Surrey County Certificate in Landscape Construction, and in 1977 he formed Roddy Llewellyn Landscapes. From 1978-80 commissions were mostly undertaken. In 1981 his first book, Town Gardens, was published by Weidenfeld and Nicholson, followed by six others – 1985 Beautiful Backyards, 1987 Water Gardens: The Connoisseur’s Choice, 1989 Elegance & Eccentricity, 1991 Growing Gifts, 1993 Grow It Yourself, and 1997 Roddy Llewellyn’s Gardening Year. 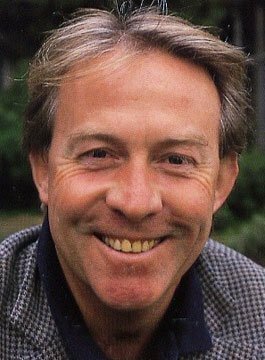 From 1981-85 Roddy Llewellyn was gardening correspondent for The Star, and from 1987-1999 for the Mail on Sunday. In 1982 and 83 he was gardening writer for Oracle. During 1996 he wrote a monthly series for Country Homes & Interiors. In 1984 he gave a gardening lecture tour Sydney, Australia, and in 1987 designed an indoor gardening exhibition both at Selfridges in London and at Hertie in Munich. In 1988 he designed a garden at Chelsea Flower Show (Silver Gilt) and at Hampton Court Flower Show (also Silver Gilt) and at Hampton Court Flower Show (also Silver Gilt). The next year he designed a range of furniture for Ashworth Leisure. In 1990 he presented The Home Show (Thames TV) with Molly Parkin and in 1992 and 1993 The Gardening Roadshow (Thames TV). Since 1993 he has been a Guest Presenter on Grass Roots (Meridian/Bazal TV). His experience in horticulture has been wide and varied. In 1994 he was a Guest Panellist on BBC Gardener’s Question Time, and in 1995 was elected an Associate Member of the Institute of Horticulture. A monthly series for Country Homes & Interiors followed in 1996 when he was also a regular Guest on This Morning with Richard and Judy. In the same year he lectured in Richmond, Virginia, USA. He lectures on a variety of horticulture-related subjects, and designs gardens from small urban to country estates. From 1997 until 1999 Roddy presented Roddy Llewellyn’s Garden Guide with BSkyB (Granada Breeze), running to almost 200 programmes. In 1997 he also lectured in the USA. A year later in 1998 he was contracted as Gardening Presenter for This Morning with Richard and Judy and in 2000 he started writing monthly for Period Living and Traditional Homes on a variety of subjects. In 2001 he presented a series for HTV on famous Welsh Gardens. Also in 2001 he started writing regularly for the website 50plus and the magazine Country Illustrated. In 2001/2002 he chaired a series of twenty lectures for Sotheby’s Institute of Art in London, filmed series 2 on Famous Welsh Gardens for HTV, and has since written for Saga magazine on the practicalities of gardening. In 2003 Sir Roddy co-presented programmes for the series Turf Wars, also Best of Britain. During the winter of 2003 and 2004 Roddy launched the Llewellyn Lectures near his home in Oxfordshire at the Burford Garden Company. Speakers for term one included Carol Klein, Alan Titchmarsh and Bunny Guinness. A second term of the Llewellyn Lectures which ran from January until April 2004, and speakers included Joanna Trollope, Roy Lancaster and the TV chef Brian Turner. January 2005 saw Sir Roddy hosting a new series of lectures. Speakers included Chris Beardshaw, Robin Lane- Fox and Lady Skelmersdale in the UK and the West Indies. Sir Roddy Llewellyn is available for Gardening Demonstrations and Speaking Engagements.